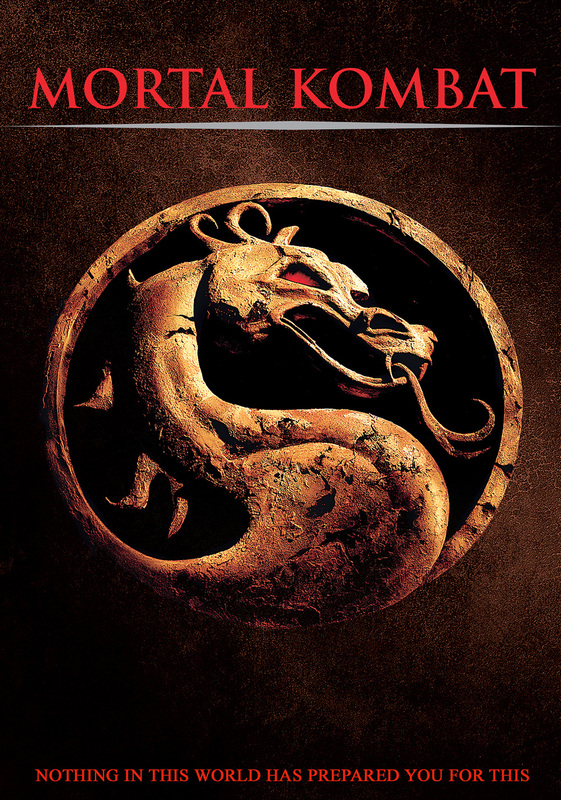 I’ve just re-watched Mortal Kombat, the less-than-stellar 1995 video game adaptation directed by Paul W.S. Anderson. The same director who would two years later direct a far better film, Event Horizon (2007), which has the unfortunate reputation of being a movie most people hate. Why did I watch Mortal Kombat…again? Two reasons. First, I needed something to write about for this column, and it just seemed fitting that a 20-year-old film from my childhood happened to be streaming on Netflix. Second, I wanted to re-experience something from my childhood to see how well it would hold up. An experiment, if you will. And while other films from the 90s (and 80s) have not so much held up as become interesting in other ways as a result of age, Mortal Kombat is one of those gems that, frankly, has always been ridiculous. I just couldn’t see it when I was 11. Mortal Kombat follows Liu Kang (Robin Shou), Johnny Cage (Linden Ashby), and Sonya Blade (Bridgette Wilson), three people from different walks of life. 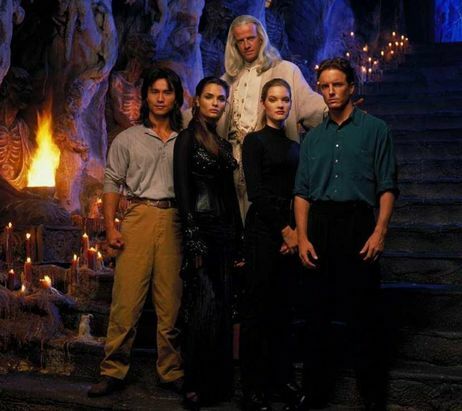 Liu has run away from his responsibility as a “chosen one” after the death of his brother at the hands of Shang Tsung (Cary-Hiroyuki Tagawa), the host of the Mortal Kombat tournament held each year; Johnny is an action star who regrets that his real talent is perceived as “fake”; and Sonya is a military officer hell bent on avenging her deceased partner. Each is inevitably roped into the Mortal Kombat tournament, and each soon realizes that more than the fate of their individual reputations or emotions is at stake. Mortal Kombat, you see, was created by the elder gods to limit invasions by the various dimensions, requiring each dimension to send warriors as representatives to fight. If the challenging dimension wins the tournament ten times in a row, the doorway between dimensions opens and the invasion can begin. At the start of our story, the warriors of Outworld, which is apparently the domain of creepy nightmare monsters, have won nine times. As our heroes fight their way through the Outworld ranks, they’ll each discover something about themselves (mostly that only one of them is actually interesting) and the importance of letting go of the past. Yes, Cage is a bit of a sexist, a privileged turd, and, frankly, a bit racist. You’d think he would be the least likable character of the main cast for all his flaws, but every time he spits out a delicious, sarcastic one-liner or even demonstrates that under all that jackass is a guy with principles, it’s hard not to like him. He also happens to be one of the few characters who doesn’t become less of a character as the narrative progresses. Indeed, Cage is the ONLY character in this movie whose arc makes any sense. He begins as a hotshot movie star trying to prove himself, and when given the chance to actually prove that he’s not a fake, he does so in a way that makes him the hero: he challenges Goro directly, saving his friends and the other Earth challengers from certain death. The moments preceding that fight are surprisingly subtle, too, revealing extent to which Cage uses humor to mask his insecurity. I’m Johnny Cage. I once fought an four-armed other-dimensional monster and won by kicking him off a cliff. It was awesome. Perhaps the most egregious character change occurs to Sonya Blade (Bridgette Wilson). She first appears in the film as a Special Forces officer driven by vengeance against her partner’s killer, the sleazy Australian crime lord / cyborg-eyed warrior named Kano (Trevord Goddard). Wilson’s performance may be forgettable, but the character shouldn’t be. Except Mortal Kombat does forget Sonya Blade. After showing us how determined, capable, and powerful Sonya Blade is — granted, in one instance through a poorly choreographed fight scene with Kano — the story immediately discards it all and reduces the “I don’t need you fighting my battles” Sonya to a damsel in distress. Not a capable female warrior who is subdued by someone with far more power — which would make sense given that her captor is Shang Tsung, man of a bazillion warrior souls — but a capable female warrior who suddenly stops being a capable female warrior and becomes a weak, incapable object who has to be rescued. The same character who at the start looked at Johnny Cage as a clown with antiquated ideas about women becomes the very thing her character rejected. It’s a sad turn of events, and it utterly ruins what made Sonya Blade so much fun: she was a badass with a quick tongue. They might as well have left her out of the movie (which would have improved things, to be honest). I make icicles for a living. Mortal Kombat also suffers from a problem that has plagued video game adaptations for decades: trying to write a coherent narrative while maintaining what made the game so memorable. On at least three occasions, Shang Tsung or Liu Kang utter “flawless victory” immediately after a fight in which both fighters have been smacked upside the head. Flawless like a Ford Pinto, maybe. 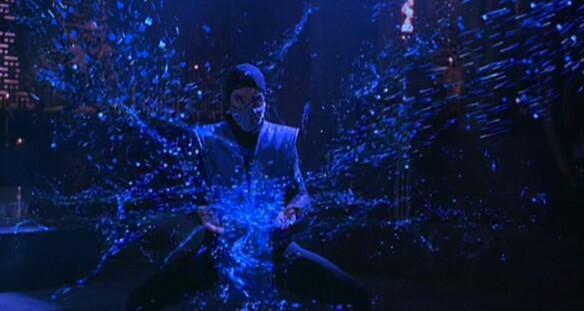 On other occasions, the film uses characters like Scorpion and Sub-Zero, two of the most memorable video game characters, as service to the fans; each character uses their video game “special abilities,” but it is only Scorpion who comes close to being anything close to a threat — Sub-Zero mostly shakes his hands and makes icicles really slowly (pretty, but hardly terrifying). 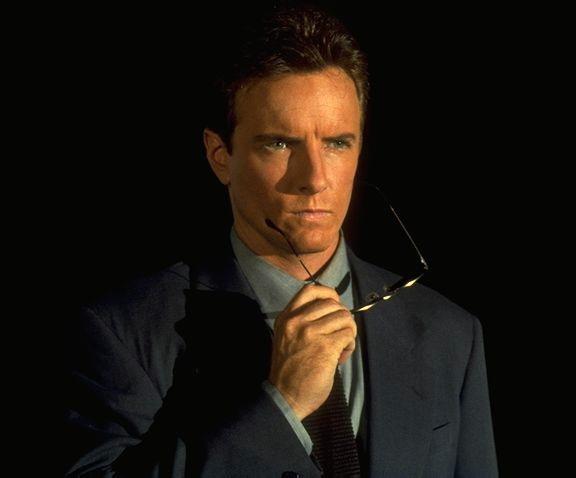 Even in the case of Scorpion, who uses one of the video game’s fatality moves in a fight with Johnny Cage, the threat is minimal, since shortly after doing something actually cool — pulling off his face and shooting fire from his mouth like a bipedal skeleton dragon — he’s quickly dispatched by a shield-bearing Cage. It’s hardly the fight I hoped for. Only one of us has an actual character arc. Can you guess who? 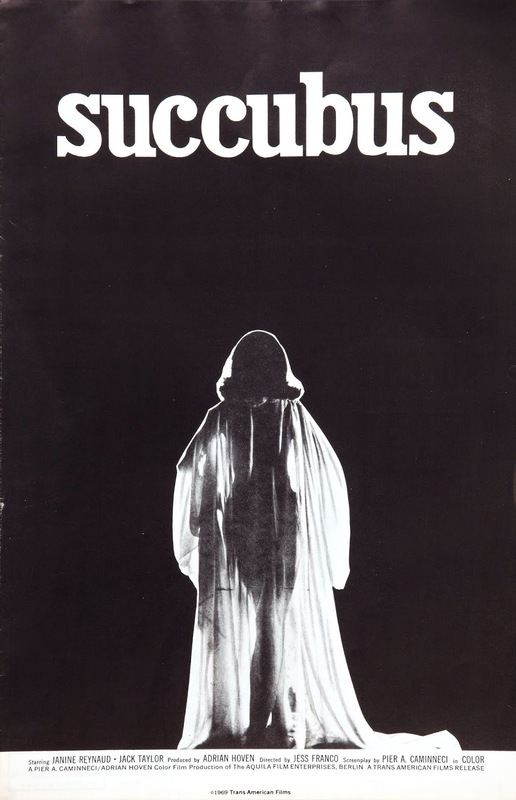 Unfortunately, the film never quite embraces the campiness of its premise, which might have done it some credit. This story is so simple it should have been a by-the-numbers production, with characters reacting in a character-logical fashion and growing just enough to fulfill their individual character “needs.” At worst, it should have been a film full of incredible action sequences. Instead, Mortal Kombat too often goes for cutesy gaming references or absurd melodramatic performances of bad dialogue instead of focusing on what matters: the characters. Even when it does give us fight scenes, they are too often in slow motion, or they are poorly choreographed — at worst, they make the actors look like fish flopping on the shore. If there’s a redeeming quality to this film, it’s that it would make for a good drinking game. One shot for each time someone says “fatality” or “get over here” or “flawless victory.” Two shots every time Shang Tsung scrunches up his face so hard that he looks like he could pop. OK, so I wasn’t actually mesmerized by the abs in my youth. That’s a acquired taste, it seems. : The Goro puppet thing was also pretty cool, although they spent far too much time having it roar over and over. After a while, it got pretty irritating.